I’m back from Chicago. The 2017 edition of the AXPONA is behind me and will most likely be the last time I assemble a real high-resolution, surround music system. We were unique in offering a room that provided high-resolution, surround music. While there were other rooms with multichannel playback — including Dolby Atmos systems — they played movies not music. I’ve read a couple of online reports that gave “Best of Show” nods to other surround rooms by authors that didn’t experience our room. It’s a major challenge for a small company like mine to pull together sufficient support from partner companies to setup a proper surround demo. In fact, if you missed the AIX Records room at this year’s AXPONA show, it’s unlikely that you’ll get another chance. For a variety of reasons, I won’t be back in the new convention center venue with a full demo room. I may show up with a sales table to offer my book and software, but the days of a full 5.1 system are behind me — at least at AXPONA. I read an article on DAR that addresses the pressing and persistent question about variations in “quality” when using USB digital connections. I’ve always maintained that digital connections do not, should not, and in fact, can not affect the “fidelity” of a reproduced audio file. And despite the title of the article on the DAR website (“Gordon Rankin on why USB audio quality varies“, I stand by my assertion. I not going to dwell heavily on the content in the piece as I acknowledge that Gordon Rankin, the founder and chief engineer at Wavelength Audio, knows more about the USB format than I do. You should visit the DAR site and read the piece for yourself. He goes on to discuss a series of tests that he’s done that conclusively show CRC errors occurring in USB data streaming. I agree wholeheartedly. Error can and do happen rarely during the transmission of data from a source to a remote DAC using the Isosynchronous USB transmission protocol. However, the critical question is what happens to the sound that is converted from a stream with CRC errors in it? As a mastering engineer for many years, I could see the CRC error light on my Sony 1630 processor (a mastering machine used to convert analog to digital and digital to analog when preparing a CD using a U Matic 3/4 inch video deck) go on and off on occasion. But the analog output didn’t glitch or drop out unless there were a lot of CRC errors. But most importantly, a CRC error as reported by Mr. Rankin doesn’t ever impact the fidelity of the output. If purveyors of boxes like the Regen tell you that the fidelity of the resultant sound is somehow enhanced, they’re marketing not informing. A CRC error would produce a sudden drop out or “snat” not a color or timbre change. I’ve heard plenty of drop outs in my 20 years of engineering using digital equipment. Gordon’s right when he says that USB can have “quality” issues. What is not made clear in the piece is that the quality is an all or nothing affair when the analog playback is experienced. You either hear the music or you don’t. How many times have you experienced a drop out when using your external DAC? I would guess not very often. I can confidently state that you’ve never heard a timbral or fidelity change when connecting a digital source and a destination using a USB cable. Of course, you need a good USB cable ($10 will do) and a high-end DAC that doesn’t depend on the clock accompanying the digital data in the USB cable. As I’ve said before, any self respecting DAC manufacturer will “reclock” their devices so the quality of the clock is independent of the cable and source clock. So digital transmission errors are never a good thing. But it’s important to know what sonic effect errors can produce. In the case of CRC errors, they aren’t really a problem in current high-end audio playback systems. 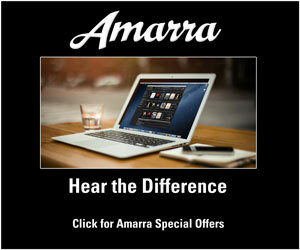 Mark, the one company I will stick up for in this case is Schiit. They don’t make crazy claims about what the Wyrd does. And they made it primarily to answer power management problems that plague PCs, and pull power away from the USB bus for so-called “green” functionality, causing audio dropouts. And they do not claim any increase in fidelity. I’ve spoken to both of the principals at Schitt and agree these guys aren’t hucksters. I can only state what I know is true about USB “processing”. I’ll have to look more closely at their product. It seems to me that the current method of communication between a computer and DAC can be significantly improved by transferring the song to the DAC instead of streaming the song thru a USB port. The computer would be used to display the music library allowing the user to select what they want to hear. The interface on the computer to the DAC would look like a media player, such as VLC, with its play, pause and next buttons. These would turn into commands to the DAC. After receiving the song the DAC could decompress it memory, then sample and play. With today’s multiprocessor chips and dual channel memory the DAC could transfer the next song while playing the current one without interference. Harry, you’ve got a misconception about the function of a DAC as opposed to a music server. You can’t store a music file on the DAC. It merely takes a stream of digital data and converts it back to analog information. The digital data has to get their somehow and in many cases USB is used. Really a pity that Mr. Rankin take this approach. There were posts by him in forums a few years back saying he could find no reason for reported sound changes. I do believe he has reported about those errant cables that don’t do a good job for USB and mostly they were audiophile cables that didn’t meet spec. Neither do you need a Tektronix to figure this out. As you said, you don’t get shades of analog like differences in quality. You get sound or you get dropouts. Just testing this I have run hours of digital audio data over USB and captured the result digitally. Not once have I gotten a single error. Errors can and do happen. They happen at rates that are exceedingly low. Anytime someone starts talking audio quality over USB and tells you it has something to do with errors you should stop listening to them. They are incompetent (not in Gordon’s case) or they are trying to sell you something. Errors in USB digital audio transmission are a complete non-issue. Yup. I guess Gordon really needs to make a sale or something. We can certainly respect Mr. Rankin for his work with USB transmission over the years but it would take a truly awful USB cable to create so much error that it would be audible frequently through a piece of music! Obviously the cable would create a ton of CRC errors to be this audible with intrusions of noise and glitches (“snat”). But as Mark says, it does *not* change the color/timbre of the music itself. I suspect the answer would be fairly low. Also, just like digital radio, usually large error rates do not equate to subtle degradation in signal quality – it means complete drop outs, i.e. it’s obvious. However, I’m sure if you s spec compliant port they will be the first ones to say you don’t need it. Note: I used to love my Tektronix in a previous life! If equipment providers — especially those involved in high-end audio — aren’t designing and building equipment that meets specifications then they shouldn’t be in the business. The accessories, cable, tweaks snake oil companies would go out of business. Does anyone really think that a $48,000 cable is going to improve your sound? I spent some time studying the actual Redbook CD system which was introduced commercially 35 years ago. The methods to detect and correct errors astonished me. Each frame is read six times and most of the code is not the audio signal itself. IMO the system based on the requirements for recording and retrieving electrical signals from microphones for acoustic music and human hearing requirements and limitations are virtually flawless. Any technical improvements would be inaudible to almost all people based on what our science knows. 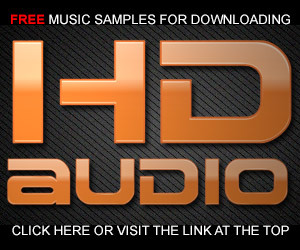 This flies in the face of what audiophiles claim. 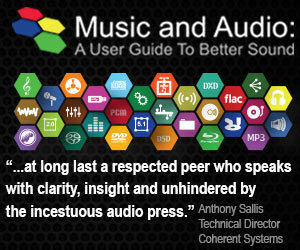 The flaws in sound reproduction are many but the RBCD system is not one of them. For finding the problems that matter to the point where the differences between recorded and live are almost invariably distinguishable instantly, you have to look elsewhere. Personally I’m no fan of digital streaming. I haven’t studied it and don’t know if it works as well in all cases. True that! 16/44.1 is 100% transparent to human perception, according to every serieus scientific study about the subject i’ve been able to find over the years. People who claim otherwise yet have to show a single shred of evidence. No acclaimed or corroborated study showing humans can identify HR from Redbook in double blind listening tests to be found anywhere, so far. Besides, switching from 500,= to 5.000,= speakers, from boxed speakers to open baffle dipoles, from electrostatic dipoles to dynamic driver dipoles, or any other switch in the loudspeaker realm changes the sound so very audibly, that we should really ask ourselves “Should we spend any $$ on any improvements in the range of 0,001% or 0,1% or even 1%?”. So long as speakers and listening rooms add distortion numbers in the 5-50% range, there seems little point in discussing electronics. 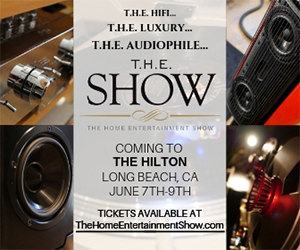 Yuri, You’re right about the weakest link in the sound reproduction chain being the speakers. I would add that the listening environment is equally important to maximize listening enjoyment. With regards to the Redbook CD spec being 199% transparent to human perception, I would challenge that statement. The CD specification is certainly sufficient to capture and deliver 99% of the music recorded and distributed to the music buying public. But it does not match the known capabilities of human perception and real world sounds. The dynamic range is one example of where CD specs don’t measure up — I’m not talking about perception, rather measurements. A CD maxes out at about 91 dB while real life extends well beyond that. Is this audible or desirable? Perhaps not but it is real Moving to high-resolution specifications provides sufficient “headroom” in the frequency and amplitude parameters to capture everything humans hear and provides very real advantages with regards to LPFs, intersample overs, and IM distortion. And it’s so easy to do — both on the recording and delivery stages of music production that I maintain it should be the new standard. And maybe — just maybe — there is some parameter of HD audio and human hearing that we have not yet identified. Perhaps John Siau could weigh in on the time domain before and after the DAC. I’ve talked to John about the whole “jitter” due to cables and his reclocking methods makes the issue moot. John Siau has written about some of the topics in play here (https://benchmarkmedia.com/blogs/application_notes/12142221-jitter-and-its-effects), and regarding the solutions Benchmark has come up with (https://benchmarkmedia.com/blogs/application_notes/13127245-ultralockdds-clock-system // https://benchmarkmedia.com/blogs/application_notes/inside-the-dac2-part-2-digital-processing). But I agree, it would be interesting to hear from John Siau in order to clarify the reality and accuracy of the problems related to jitter, described by G. Rankin, as well as the products advertised and marketed to improve computer audio via USB. Thanks…I did speak with the guy from Cool Cleveland. He’s a fan. Are you not over exaggerating a bit, Asynchronous USB do error correction and resend the data so there will be no error at all in the end. I’m not claiming to be an expert on the technical details of USB. The statement about asynchronous USB comes directly from the article on DAR and is attributed to Gordon Rankin. Mark thanks for pointing out this interesting article. Certainly I have heard differences between USB cables, ports and currently own an interim device the “Intona”. I also own the Benchmark DAC2L. In experimenting with the Intona in and out between the DAC and computer I have struggled with this device. It most certainly does improve some aspects of the sound but also adds something which I can’t put my finger on. It still resides in my system I guess until I upgrade my Dac. Benchmark have said to me nothing before the Dac2 would improve what they currently have as a USB input. In saying this anything extra added to the circuit will add, detract or change the sound anyway. The conclusion I believe is 1. The computer source has issues, including USB(Its never been designed exclusively for audio), 2. Dac manufacturers need to do more work on USB inputs(to probably account for poor computer sources). I do run a powerful dedicated I7 audio computer. I will not be buying any further devices to fix or bandaid USB issues its not the answer. Mark have you tried the new DAC3, I would be interested in your comments? Robert, thanks for the reply. If you’ve “heard” sonic differences between USB cables and ports, what do you attribute the changes to? As I’ve been trying to point out, it is impossible for tonal changes to be present when using different cables (can’t speak to ports but if they meet the minimum spec, I would expect them to act the same way). 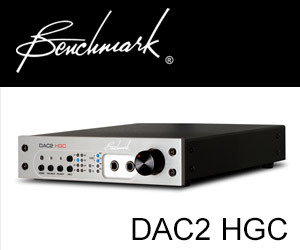 If you have and are using the Benchmark DAC2 (I have the HGC), then the designer assures us both that nothing will improve the sound with regards to cables and other tweaks. Your Intona shouldn’t be changing the sound or it’s doing something wrong. We had the new DAC3 at the recent AXPONA show. It’s beautiful but if you own the DAC2 there’s not much point in upgrading IMHO. Along the line of digital errors: Does the program that plays the music files (iTunes, Amarra, etc) play any role in creating errors that will flow out the USB port… except possibly for volume normalization and/or frequency equalization, which are not errors, but intentional modification? I’m not a technician but i think i can distinguish a good recording from a bad recording. Nowadays I am streaming 44.1Khz/16bit throug Tidal. I am using a ten year old PC with an I2S card installed connected through a hdmi cable to my W4S dac2. So I am skipping the usb protocol. For me this sounds really good. A good CD recording will offer great sound. There is a lot of nonsense going on about high res. When i hear Mark explain the differences i agree on his statements. I’ve got to weigh in on the “it’s a non-issue” side here. When I stream quiet high res piano 24 bit 96 kHz music I hear random glitches/ticks about every minute. Then after taking out and re inserting the usb connectors there are less glitches/ticks. This clearly proves to me that high res audio streaming via USB without error correction is useless. Gold is very bad contact material in the USB connectors. Suppliers should use silver as material in USB and HDMI connectors because silver oxide is electrically conductive!!! Only Audioquest is aware of this phenomenon because they use silver in the connectors of their expensive Carbon USB cable. The use of silver in connector contacts is the only reason why this cable sounds better because there is nearly no packets loss anymore. For marketing reasons suppliers do use gold plated contacts in their connectors. However silver is far better as a reliable contact and conductor…. It’s unlikely that the USB cable is causing the glitches/ticks every minute or so. If you system has sufficient bandwidth from the source hard drive, it should maintain clean audio. I use bargain basement USB cables throughout my system and studio and have no glitches at all. The thought of spending any money with Audioquest — a company that was involved with the HDMI fraudulent video I exposed a few years ago – is a non-starter. Getting a clean connection can be done with copper too. My tv had artefacts every few minutes. However the bit error rate on my Humax HD decoder equals zero! The HDMI connection is about 9 years old. This evening I removed the HDMI cable. Then I grinded the outside of both HDMI connectors with grinding paper with value 600. After that I flushed my HDMI connectors with alcohol. Guess what… Have been watching WK football for 2 hours now without any artefacts. Therefore I also removed my cheap USB printer cable between my laptop and my Musical Fidelity USB DAC. Again I grinded the outside of the USB connectors with grinding paper value 600 and flushed both connectors in alcohol. Guess what… The number of glitches while playing 24 bit 88 kHz flac files decreased from one per ca 1 minute to one per ca 2 hours. From my lab work for a telecom company I know that golden contacts can build up isolating oxide products in the long term especially whith low voltage and currents. So the connector material is the weakest link for both HDMI and USB cables. I agree with you that it is useless to buy very expensive HDMI and USB cables. However the quality of digital cables would definitely benefit if all connector contacts would be silver plated in stead of gold plated! Cables and connectors (as well as power supplies) are the most problematic items for a repair technician. However once a good connection is achieved, the signals (regardless of whether they are analog or digital information) pass equally well with expensive or cheap cables. I agree on digital cables. I even consider to create a fixed soldered USB connection between my old laptop and my USB dac. However for analog cables parameters like resistance, induction and capacity can of course give slight differences in sound quality. I wouldn’t bet on expensive analog cables either sounding any better than a good 8 or 10 gauge zip cord. Some might perform differently than others but I doubt the “slight differences” are the result of the cables. More likely the room and acoustics are the cause.